YOU’VE SEARCHED EVERYWHERE BUT CAN’T FIND AN INVITATION YOU LOVE? No problem! 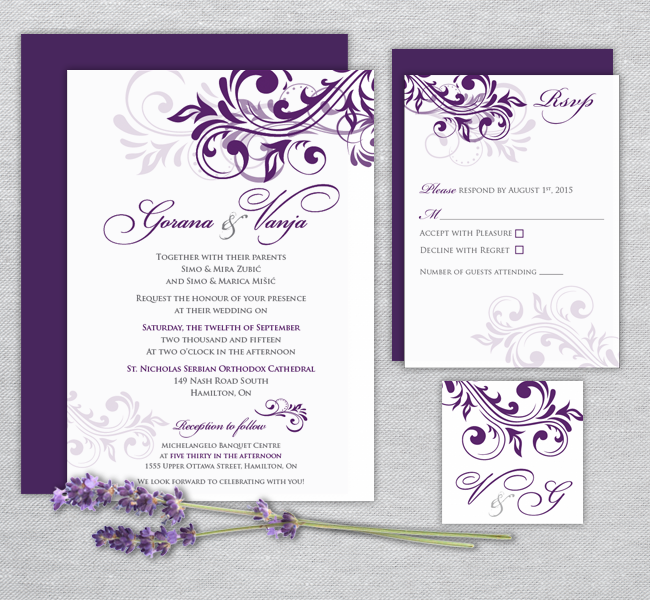 PLATUSIC DESIGN CREATIVE STUDIO can help with all your wedding invitations + event stationery needs. We can create a unique to you design that will take your vision and make it a reality. From semi-custom to completely custom we’ve got you covered. 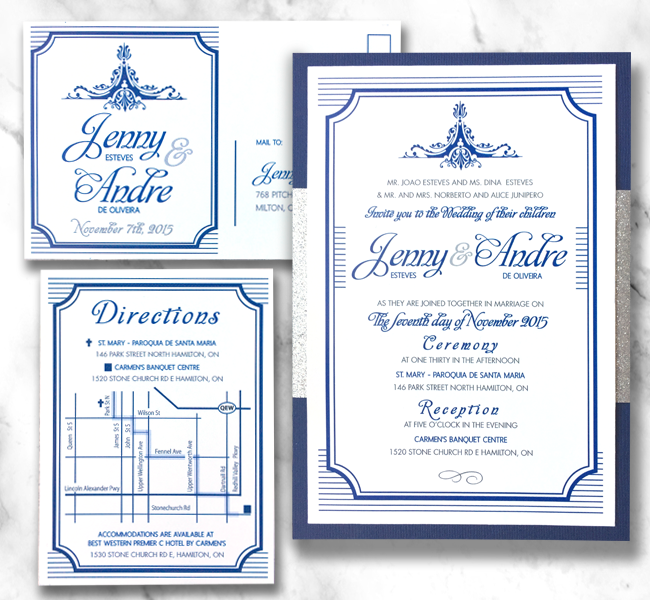 These customizable and completely versatile flat digital printed invitations are perfect for any event. 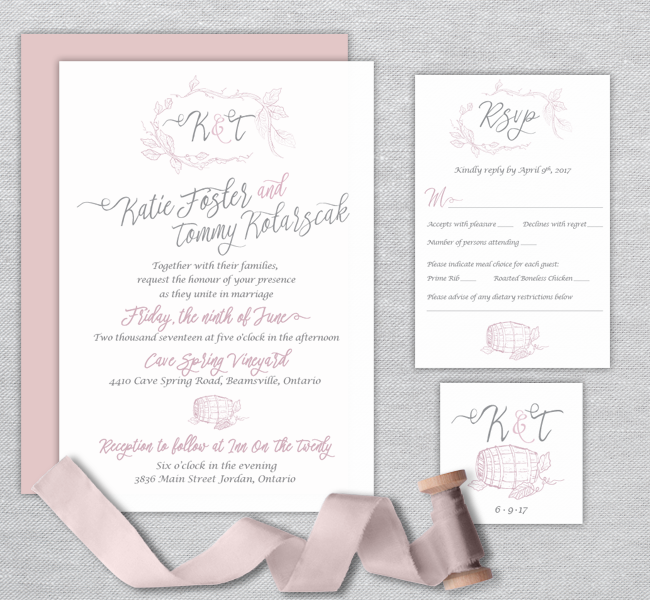 From bridal shower invitations, to birthday parties, to save the dates, to wedding invitations they provide simple elegance. 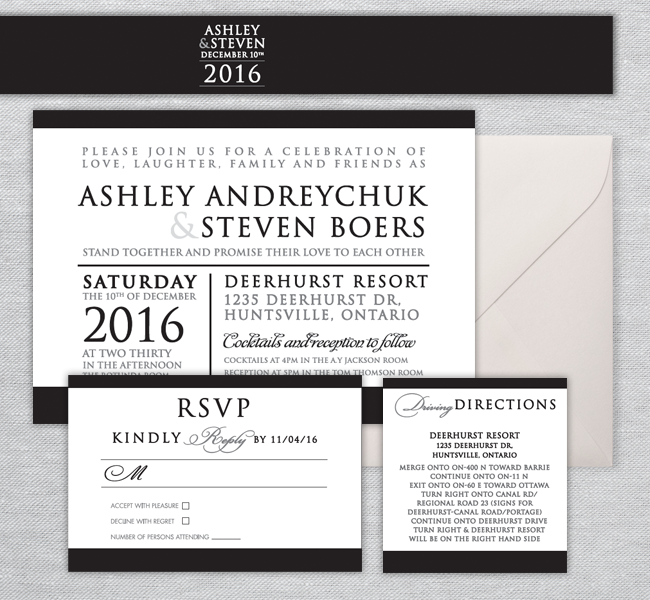 All invitations are printed on 14pt matte cardstock, and can be customized via colours, fonts, and embellishments. By adding a ribbon wrap or monogram tag with twine, you can create that personal, unique to you piece. 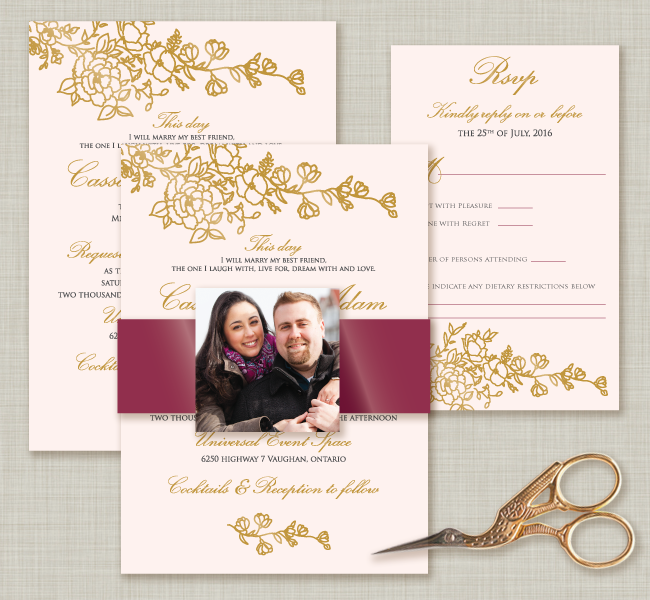 These layered wedding invitations add an extra dimension to the customizable invitation design. The invitations are printed on matte 14pt white card stock and then mounted to coloured paper, or shimmer metallic stock of your choice. 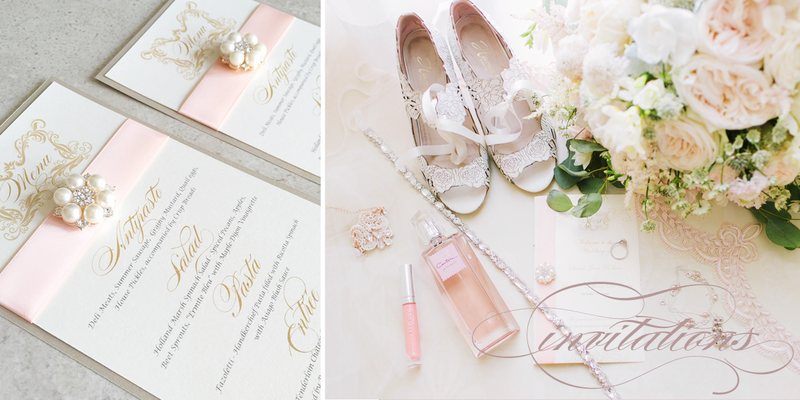 All invitations can be customized via colours, fonts, and embellishments. 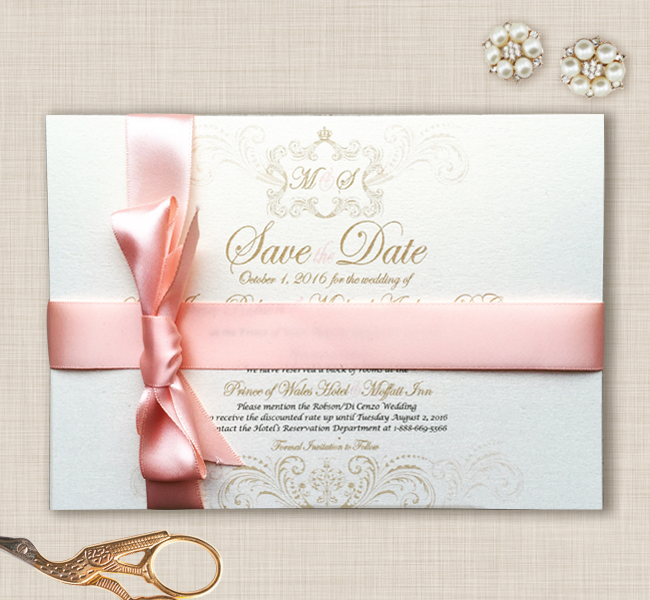 By adding a ribbon or glittery broaches, you can elevate your invitations further. 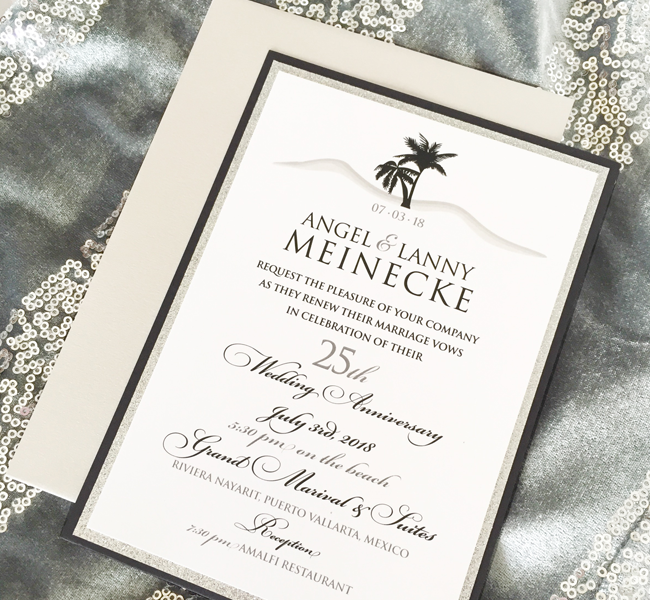 These reverse pocket Invitations are a slightly more economical choice to the full pocket, but still maintain a luxurious feel. 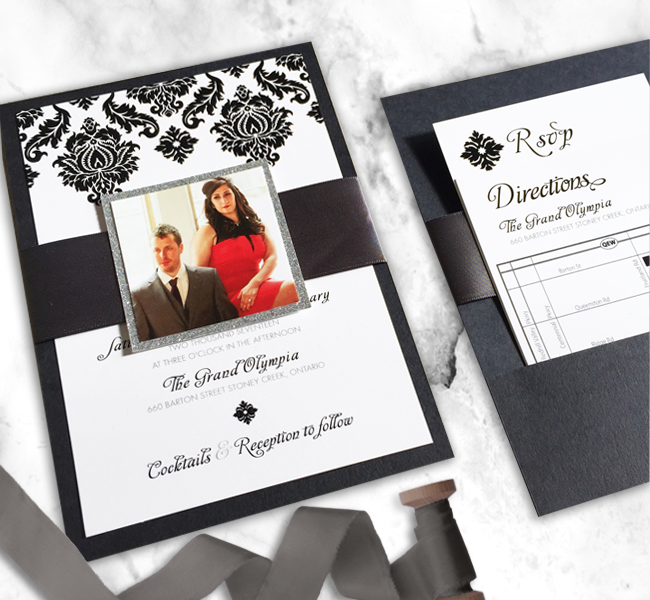 The invitations are printed on matte 14pt white card stock and then mounted the reverse pocket of your choice. The rear pockets are perfect place to house all enclosure cards, keeping everything neat and tidy. 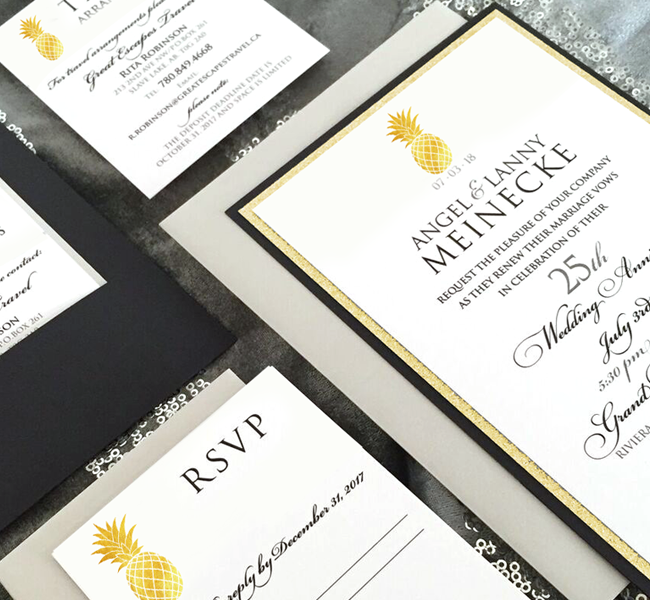 All invitations can be customized via colours, fonts, and embellishments. 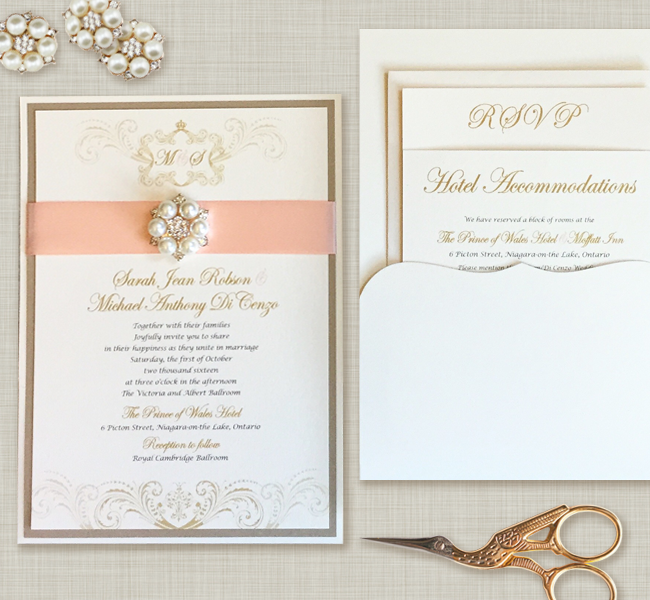 By adding a ribbon or glittery broaches, you can elevate your invitations further. 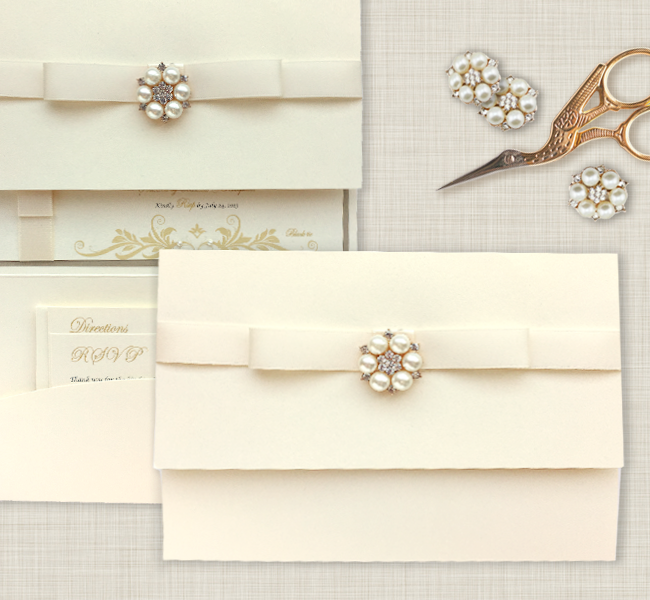 The full pocket fold invitation provides a level of luxury that will not be surpassed. Created with matte or shimmery metallic stock, complete with an interior pocket to house all enclosure cards, this folded invite will entice your guests. 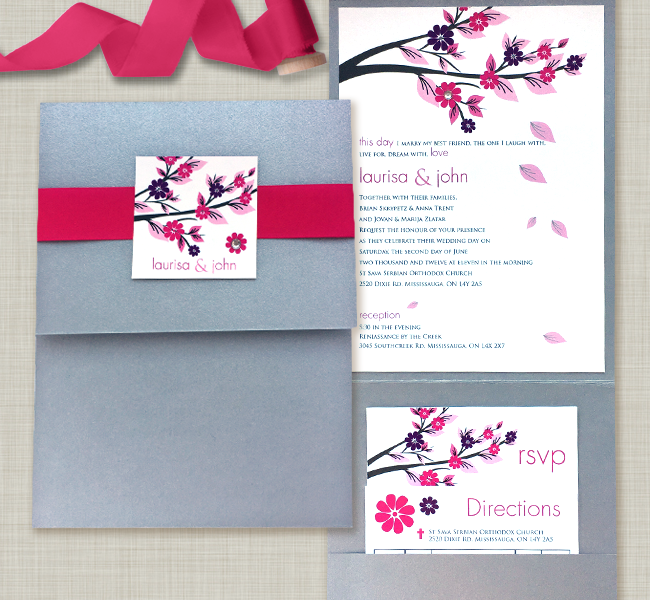 The custom Invitation is printed on matte or shimmer 14pt card stock and then mounted to the full pocket of your choice. 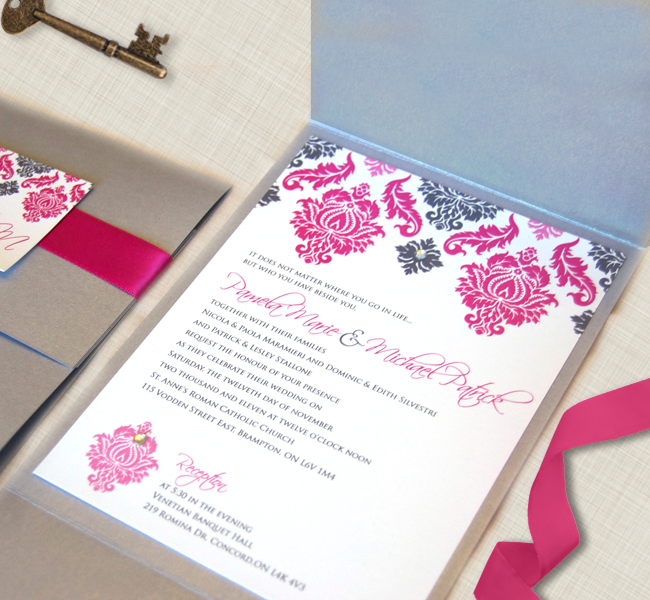 All invitations can be customized via colours, fonts, and embellishments. By adding a ribbon wrap seal with a monogram tag or glittery broaches, you can elevate your invitations further. 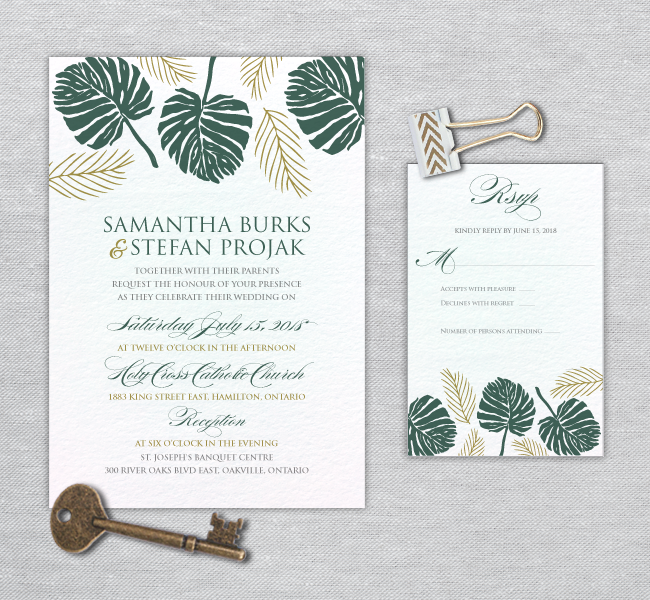 Letterpress invitations are elegance refined. Letterpress printing provides high-quality and unique craftsmanship. Graphics and text are impressed into the cotton paper, leaving clean and crisp lines behind. That unique texture and feel under your fingertips, is like no other printing method. 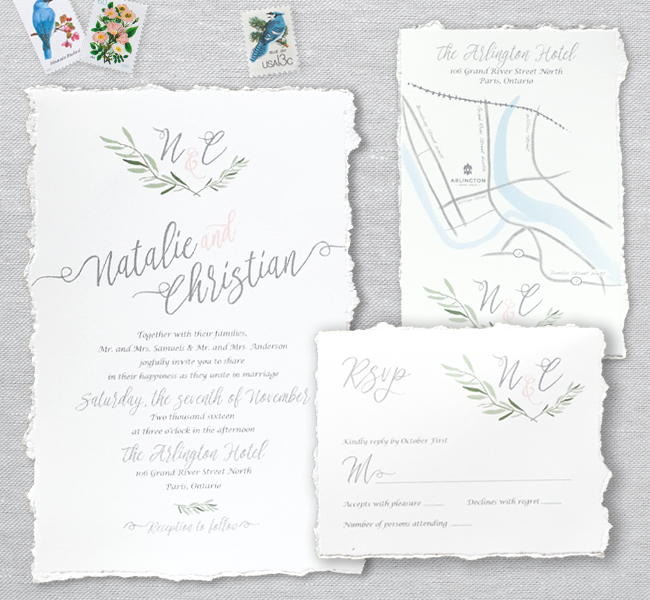 Letterpress invitations are created unique to you and a representation of your big day. The extra thick cotton paper creates a warm and lasting keepsake for years to come. 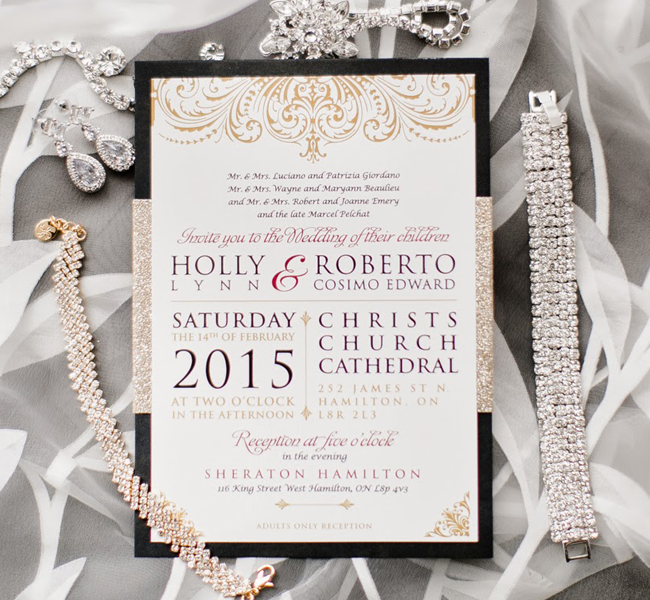 All invitations can be customized via colours, fonts, and embellishments. By adding a hand dyed silk ribbon wrap, you can elevate your letterpress invitations further. 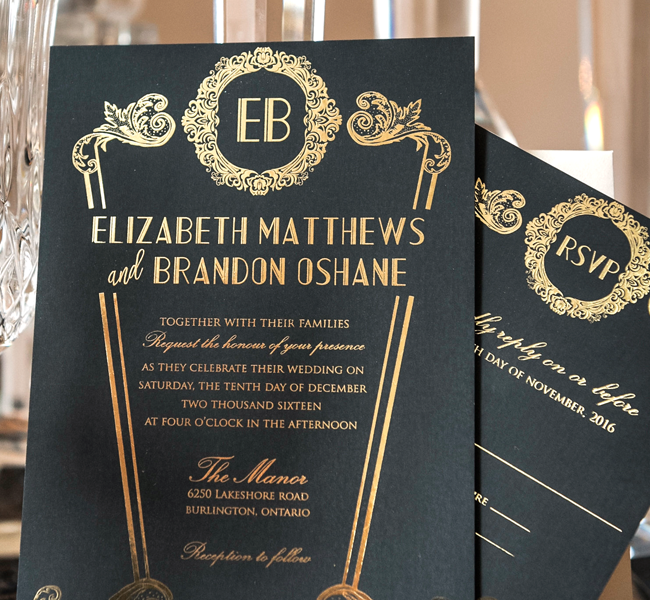 These unique and shimmery metallic foil invites will delight your guests and set the tone to your special day. Foil stamping is a specialty printing process that uses heat, pressure, metal dies and foil film to create. Almost all of the PLATUSIC DESIGN CREATIVE STUDIO collection can be converted to foil invitations. 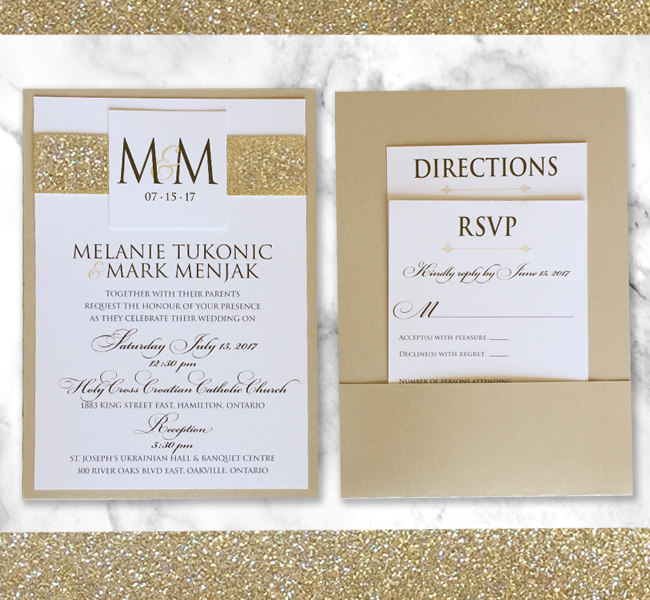 All invitations can be customized via colours, fonts, and embellishments.